13 September 2013. Next Monday the 16th, two senior CAC coaches will kick off a week long GOAL program with Standard Chartered Bank (SCB) in Jakarta, Indonesia. The GOAL On the Field curriculum was developed by CAC in cooperation with SCB with a focus on female empowerment. In order to encourage young girls to play sports and be more confident, the curriculum highlights powerful female role models such as Mia Hamm and Homare Sawa. Their stories are paired with football activities and important life lessons that will make up the bulk of the training sessions in the week ahead. Click here to learn more about the GOAL program. The two coaches working in Indonesia are Brian Suskiewicz and Nora Dooley. Brian has been with CAC since 2010 as a coach and now claims the title of On Field Global Strategist. 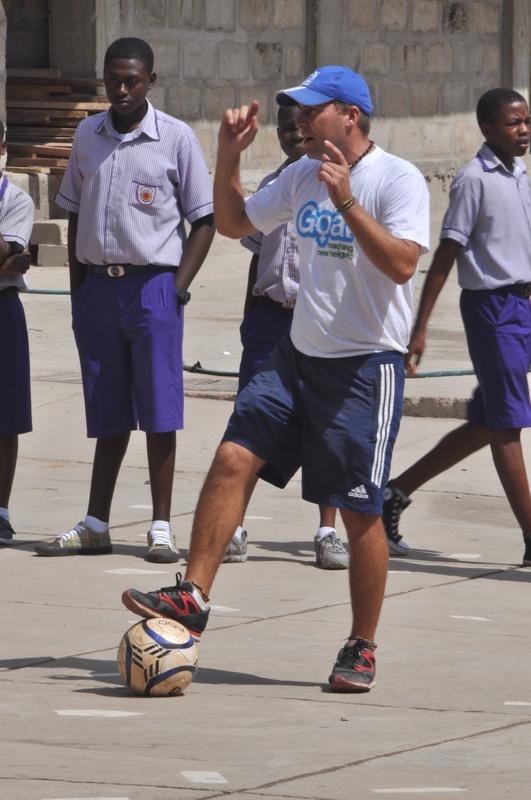 Brian takes charge of our football for social impact programs as a coach and coordinator, planning and organizing trainings with organizations all over the world. Before CAC Brian coached the beautiful game for 10 years at various universities in the States. Nora is new to CAC but is hitting the ground running here in Indonesia. She joins CAC from a life of playing, coaching, and most recently volunteering for a different soccer for development organization known as Grassroot Soccer. Nora is ready and eager to get on the field with the SCB employees. 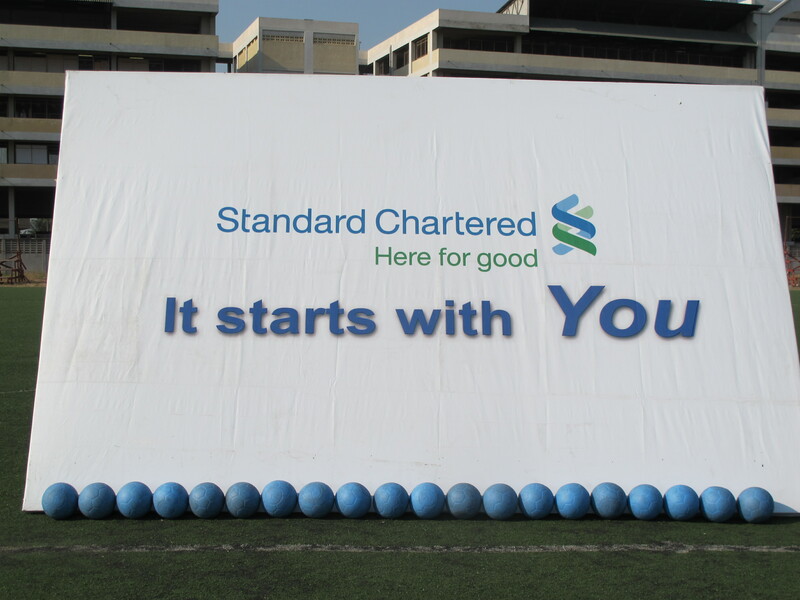 As an organization, CAC is very excited to be working with Standard Chartered Bank on this amazing project, aligning our shared motives of empowering females and using football as a means to a greater end.